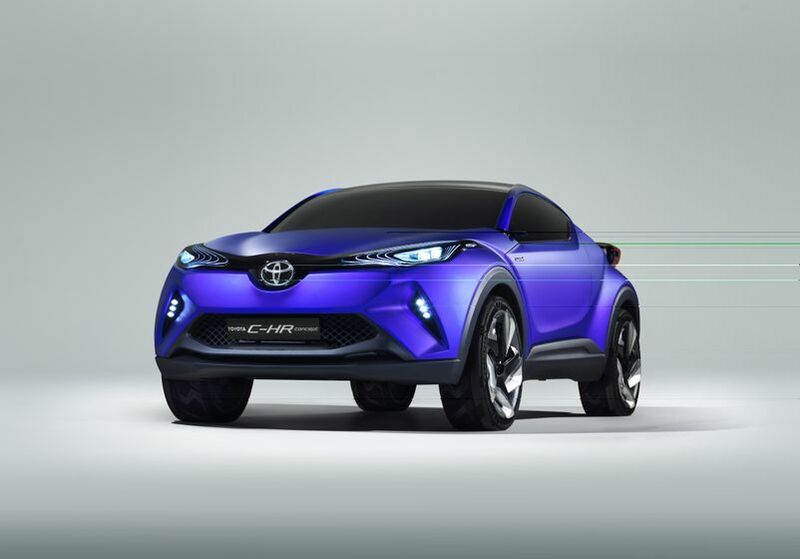 Presenting a bold new dynamic design language, the TOYOTA C-HR Concept makes its world debut at the 2014 Paris Motor Show. Using a hybrid powerplant, this crossover gives a first hint of a type of vehicle that Toyota would like to bring to the C-segment market. TORONTO, ON., (September 22, 2014) - The TOYOTA C-HR Concept introduces an expressive new, diamond architecture styling theme to the segment. Below a compact, sensual cabin profile, the lower bodywork has been sculpted to represent the facetted surfaces of a highly-durable, precision-cut gemstone.